Zeel Massage On-Demand delivers your Canoga Park massage where you want it, when you want it. A massage therapist will come to your Canoga Park home, hotel, or office in as little as an hour, or schedule in advance. Relax and recuperate with a spa-quality massage in the comfort of your Canoga Park home. There are over 9,000 massage therapists in the Zeel network nationwide. Here are a few that are available for in-home massages in Canoga Park. Chloe is a certified massage therapist with extensive experience working in a number of high-end luxury spas and hotels, including Equinox, John Allan's Spa Saks Fifth Avenue, Siam Intercontinental Hotel in Bangkok, Thailand, and various Luxury hotels in Beverly Hills. Chloe specializes in Swedish, deep tissue, Thai massage, and aromatherapy, customizing each session to unique client needs and preferences for a deeply relaxing and healing experience. Gina is a certified massage therapist and a graduate of McKinnon Body Therapy Center. She practices a wide range of massage modalities, including sports massage, Swedish massage, deep tissue massage, CranioSacral therapy, and trigger point therapy and uses her skills to help clients heal, relax, and feel rejuvenated. A dedicated health and wellness professional, Gina is also a certified yoga instructor. After earning his massage certification at IPSB in Culver City, Devon has worked in spas and clinical settings, including Equinox and chiropractic offices. Devon specializes in Swedish massage, and can customize his sessions by incorporating therapeutic deep tissue work and subtle body manipulations. 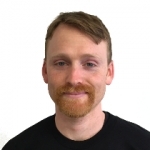 Devon is experienced in working with sports related injuries, and is passionate about holistically working with the body, including the muscles, bones, and nervous system, for a deeply relaxing effect. Thanks to Zeel Massages in Canoga Park, CA, new levels of luxury are just a smartphone tap away. Nestled within the San Fernando Valley, this former aerospace industry mecca spawned a robust suburb that is now a part of the greater Los Angeles region. Though the aerospace industry is largely gone, Canoga Park remains a healthy and diverse suburb, full of the comings and goings of family life. A large recreational park, library, and public spaces abound, making Canoga Park a nice place to raise a family. Now, whether you’re a soccer mom on the go in this All America city, visiting, or just simply want an office massage in Canoga Park, book with Zeel and let our massage therapists deliver the best massage in Canoga Park, right to your doorstep. Zeel Massage On Demand delivers your massage where you want it, when you want it. 7 days a week, day or night, Zeel has your back. You can book your Canoga Park massage online, and a licensed therapist will deliver—in as little as an hour, if need be. It’s so easy. You’ll love Zeel’s app for Android or iPhone. Canoga Park is a busy, family oriented neighborhood, but with Zeel Massage, kicking back and getting a massage has never been more convenient. 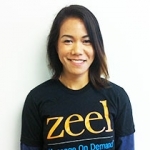 Rely on Zeel for the best massage in Canoga Park, and book today! Zeel provides Swedish massage, deep tissue massage, prenatal massage, sports massage, couples massage, and chair massage in Canoga Park.